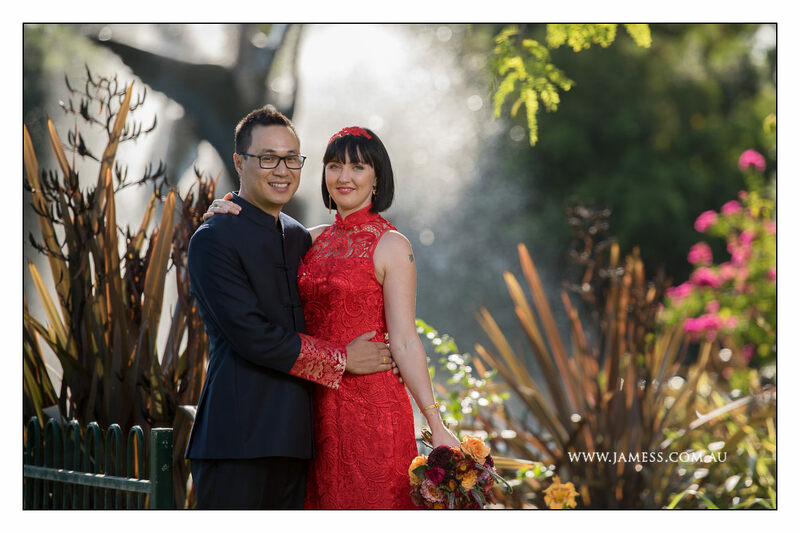 Thank you Edward & Junna for letting us help you create your dream Wedding Day! 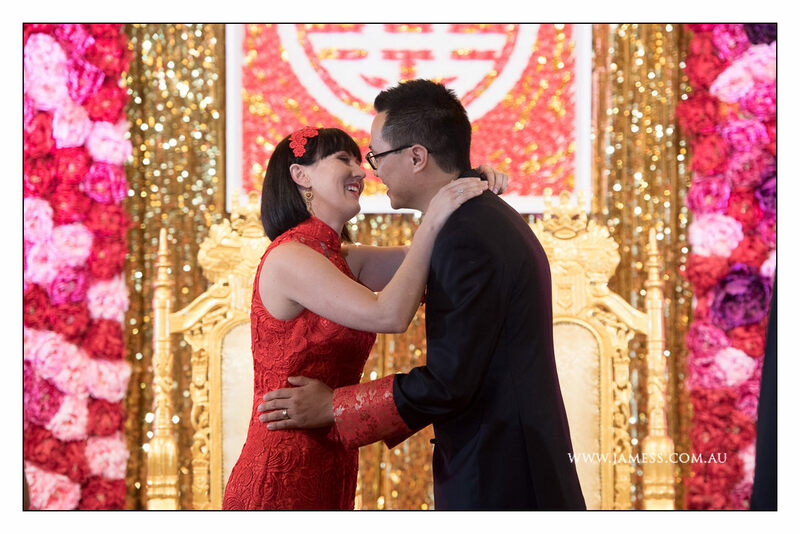 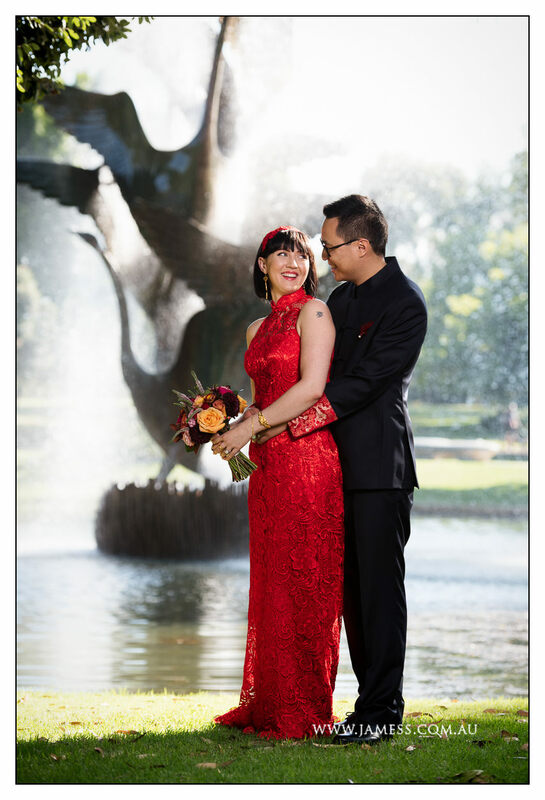 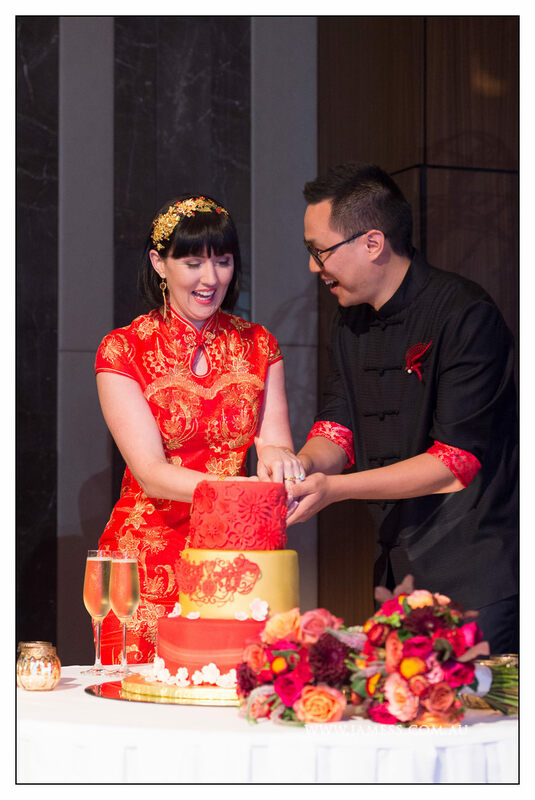 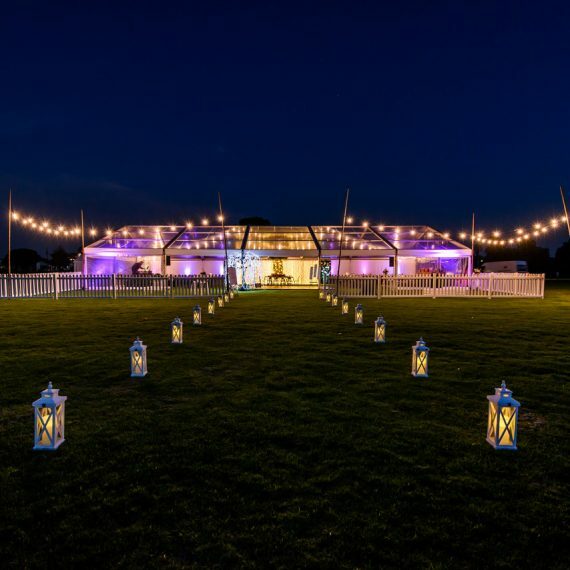 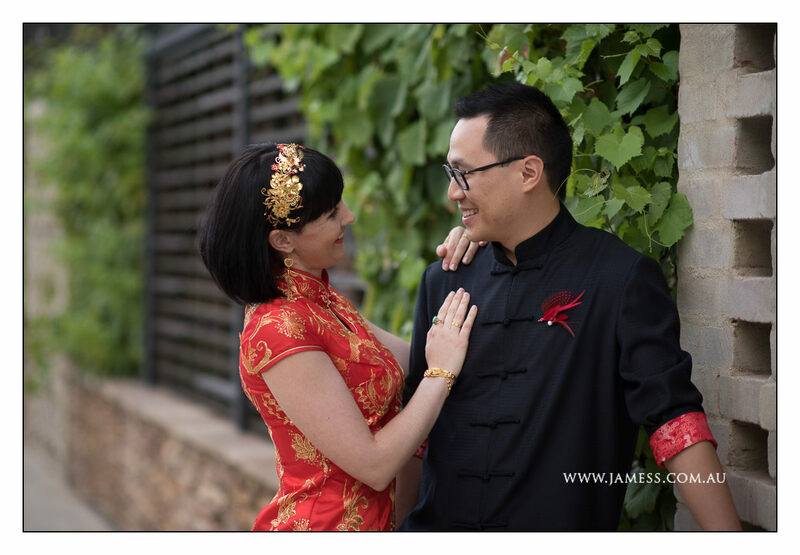 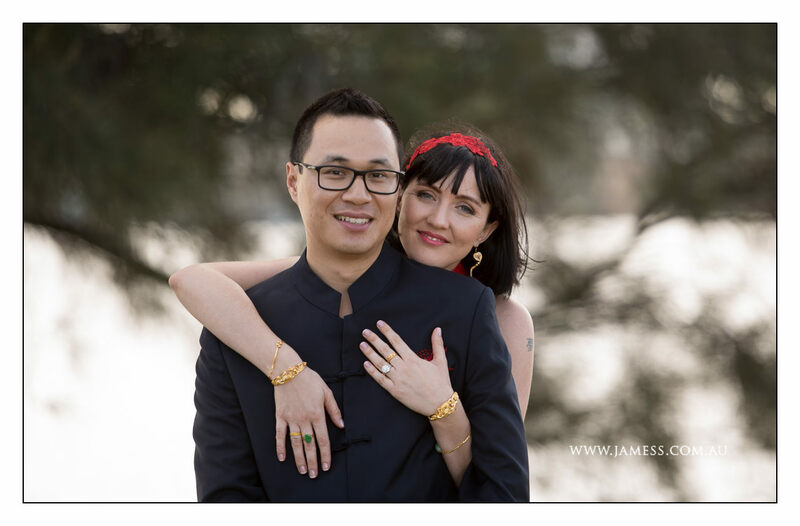 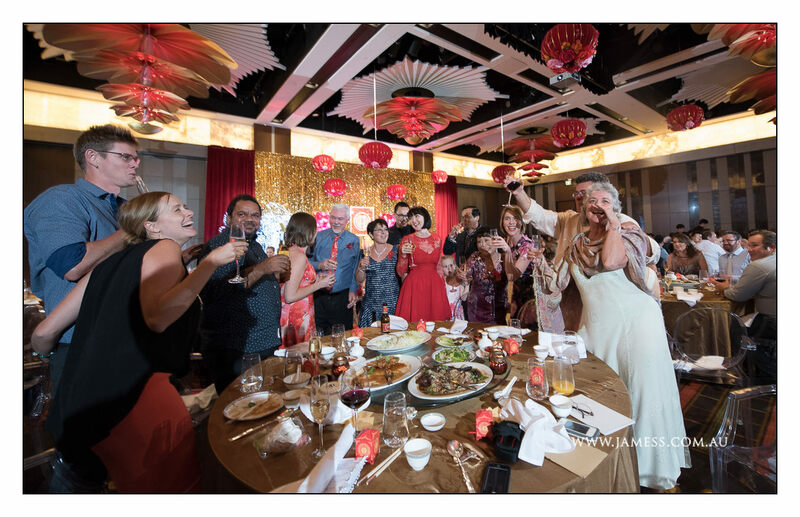 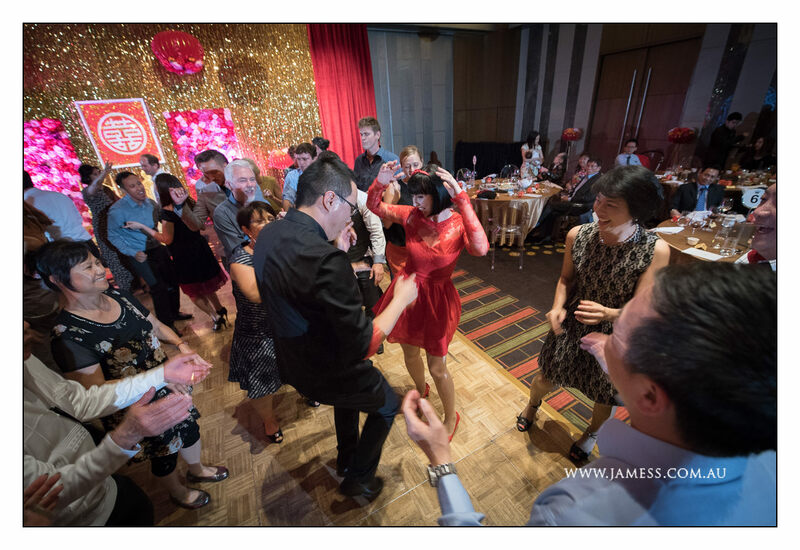 Living in Broome and having their Wedding in Perth created some logistical and planning challenges for Edward who has a Cantonese background & Junna who is Australian, who wanted to create an “East meets West” Wedding experience for their families and guests. 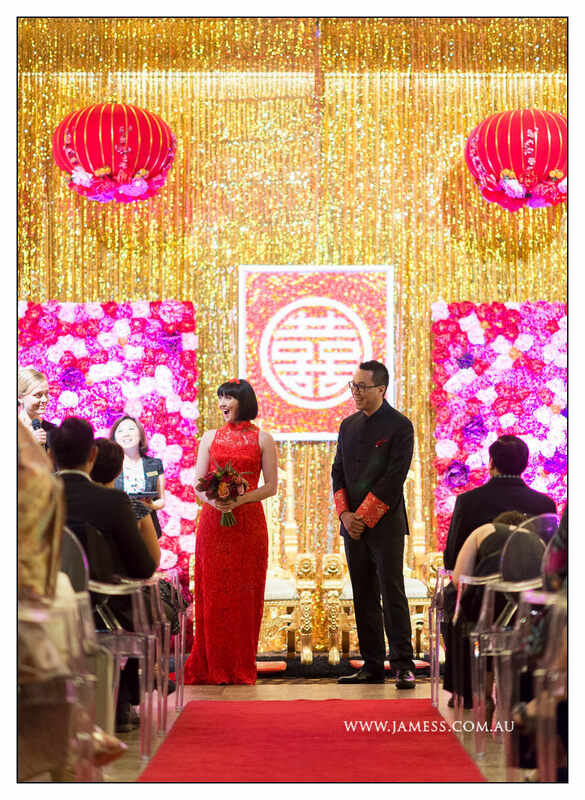 Thanks to their trust in us and lots of emails we were able to create an interesting and fun overall experience for them incorporating rich golds, reds & pinks, decorative hanging floral Chinese lanterns and a specially a handmade Chinese Double Happiness symbol made up of exact 1000 red & gold framed origami cranes in the shape of the Double Happiness made by Edward & Junna themselves! 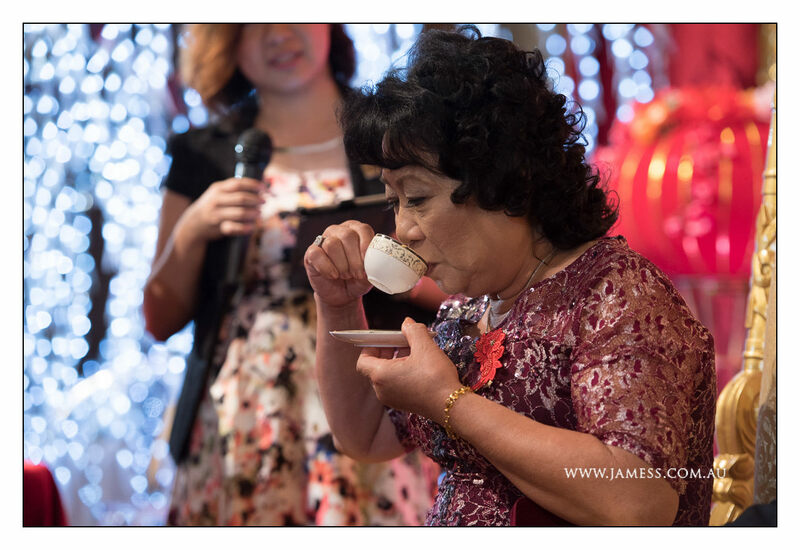 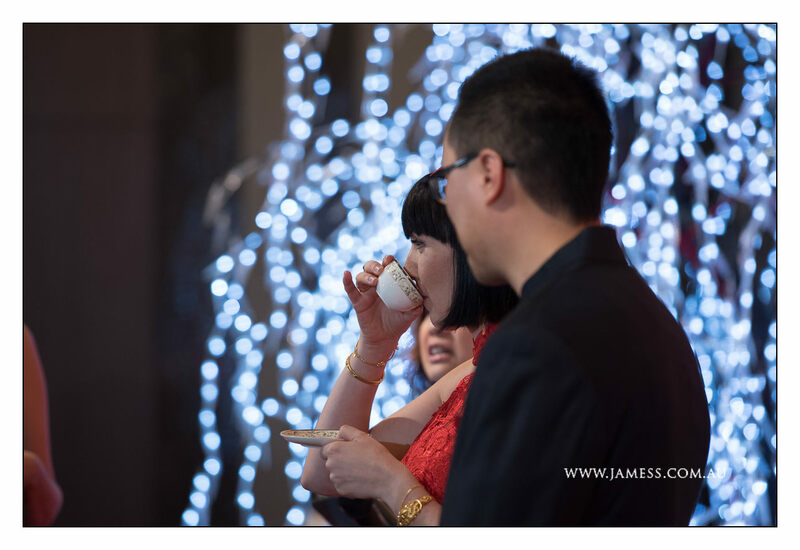 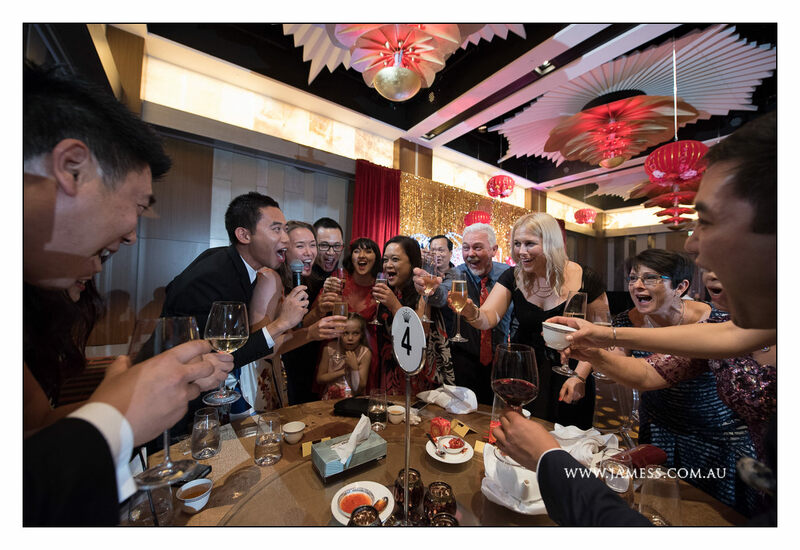 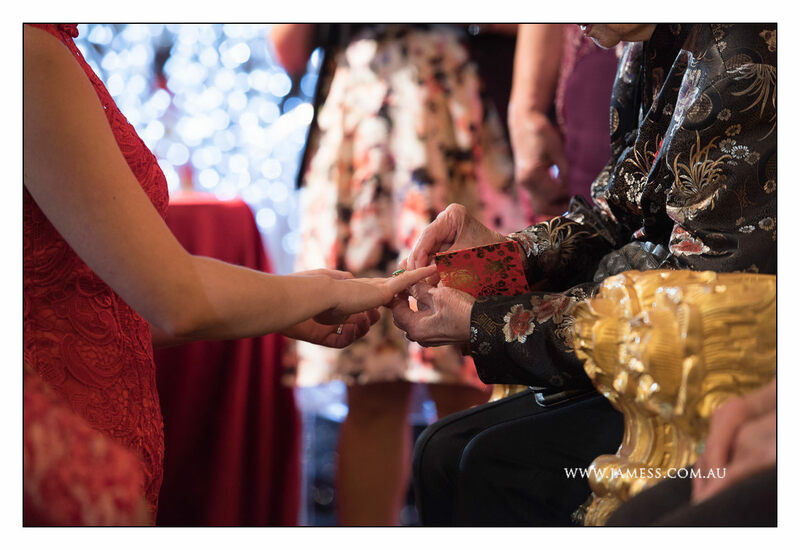 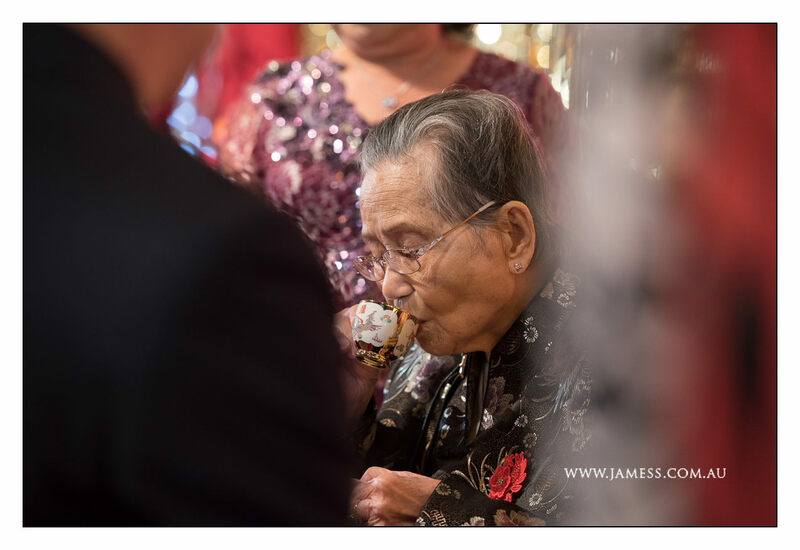 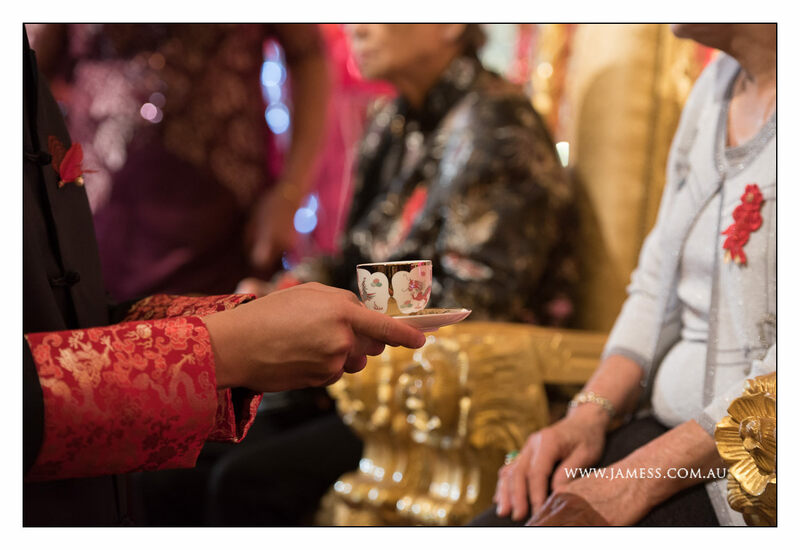 For convenience Edward & Junna wanted to have both their Wedding Ceremony & Reception including traditional Chinese Tea Ceremony at the one location – Crown Perth was the ideal choice providing accommodation, wedding venues and an entertainment complex all at the same place. 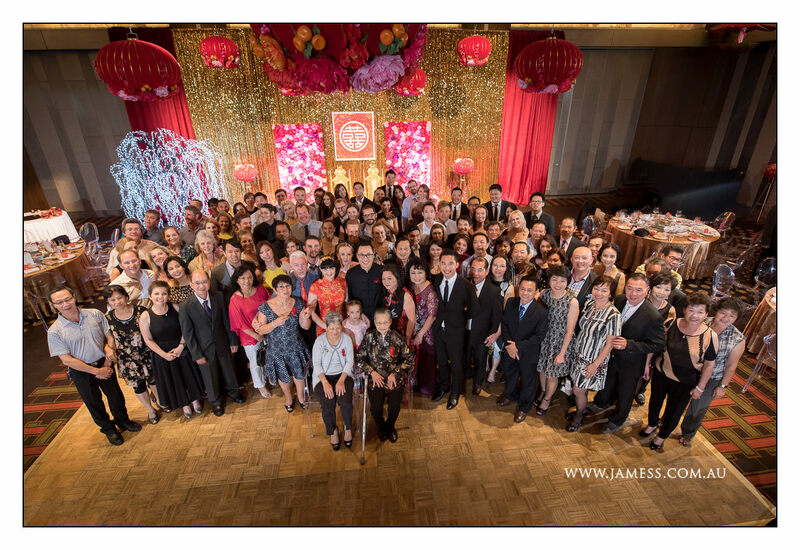 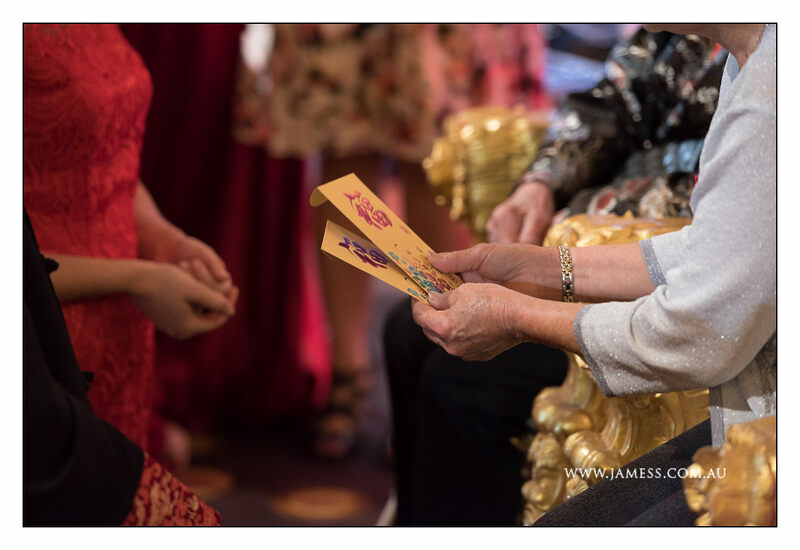 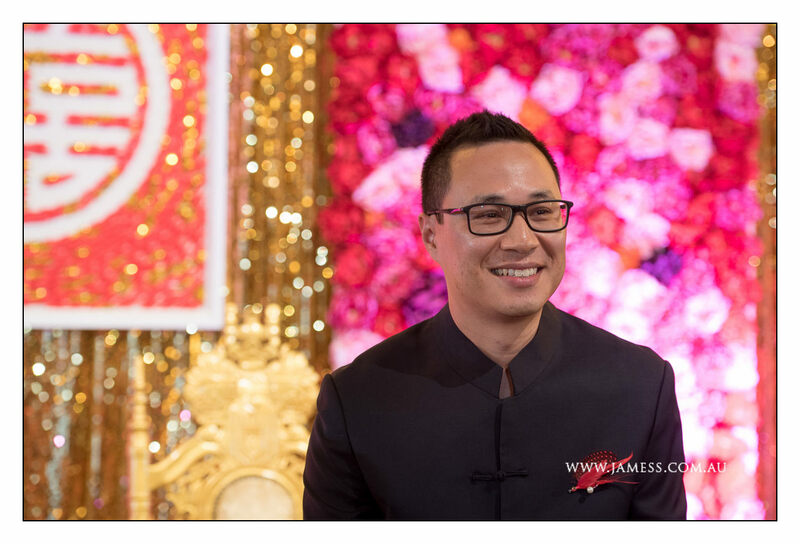 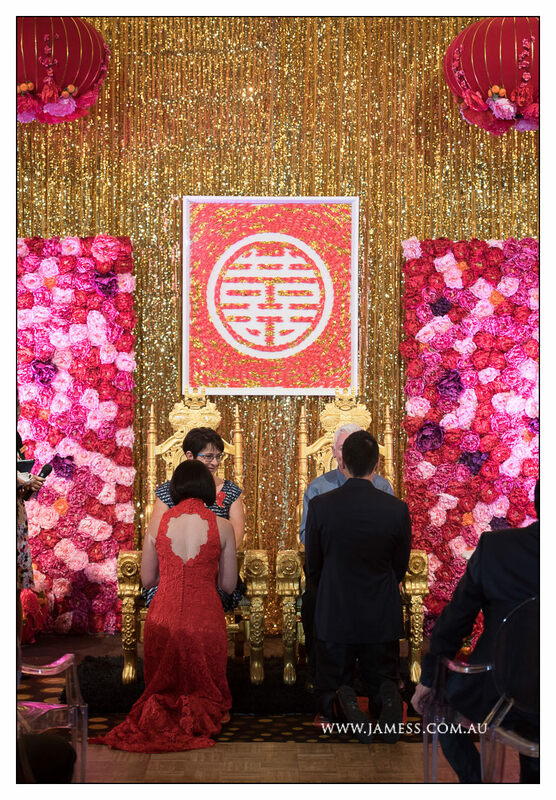 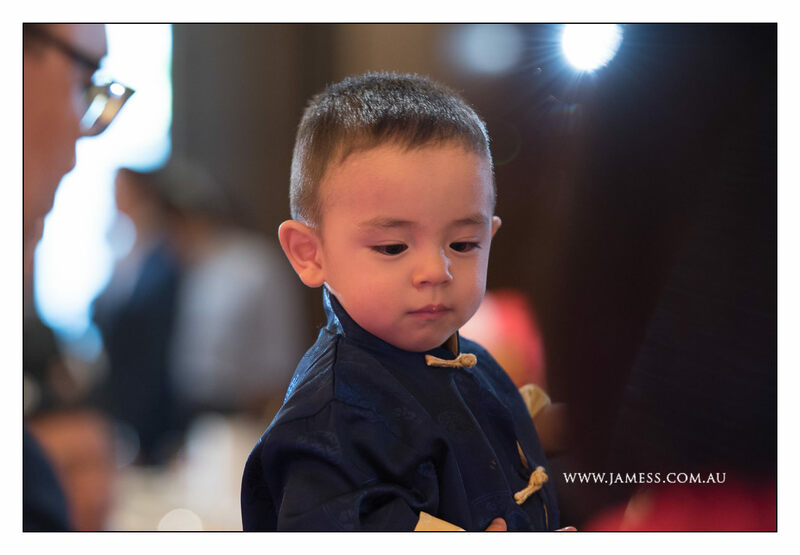 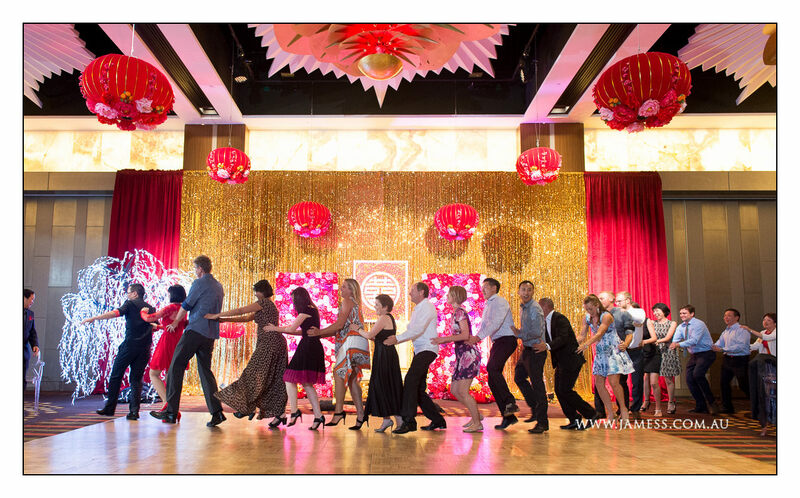 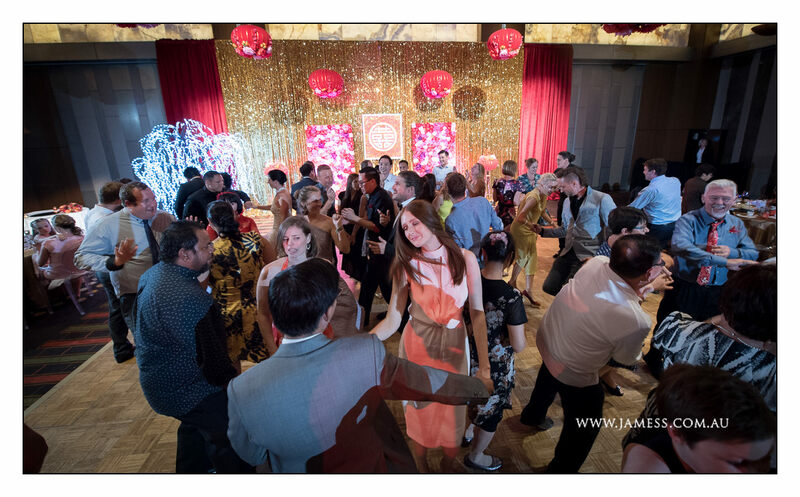 When creating this “East meets West” Wedding, we ensured we kept the traditional Chinese cultural red & gold elements, representing both luck & prosperity, with modern touches to Westernise the look. 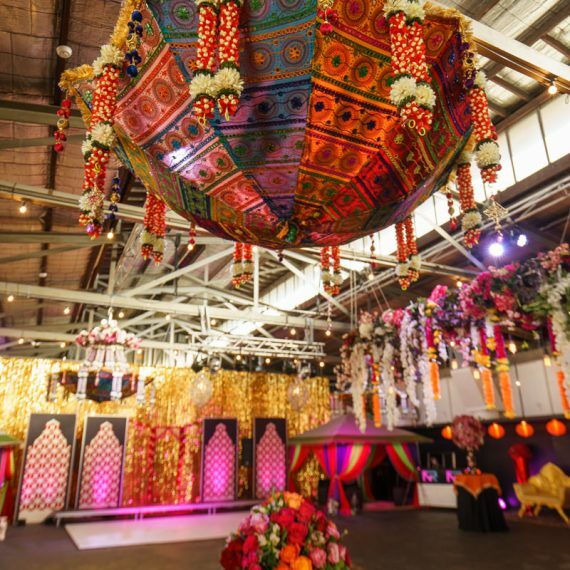 Our focus was to design a special backdrop incorporating all of the different elements which was then used for both their ceremony & reception which were both hosted in Astral Ballroom 3. 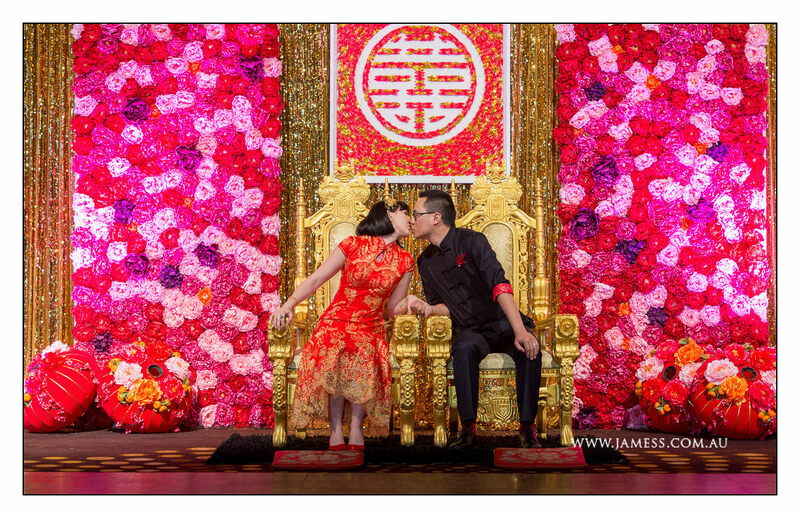 The handmade DOUBLE HAPPINESS artwork created by Edward & Junna became the central element adding a very special and personal touch. 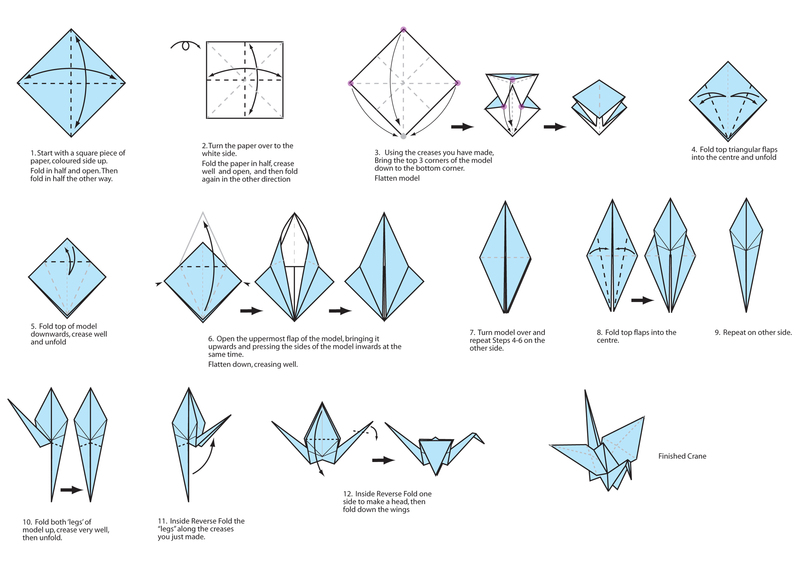 If you would like to create your own artwork similar to Edward & Junna’s, then please click here to download the detailed instructions. 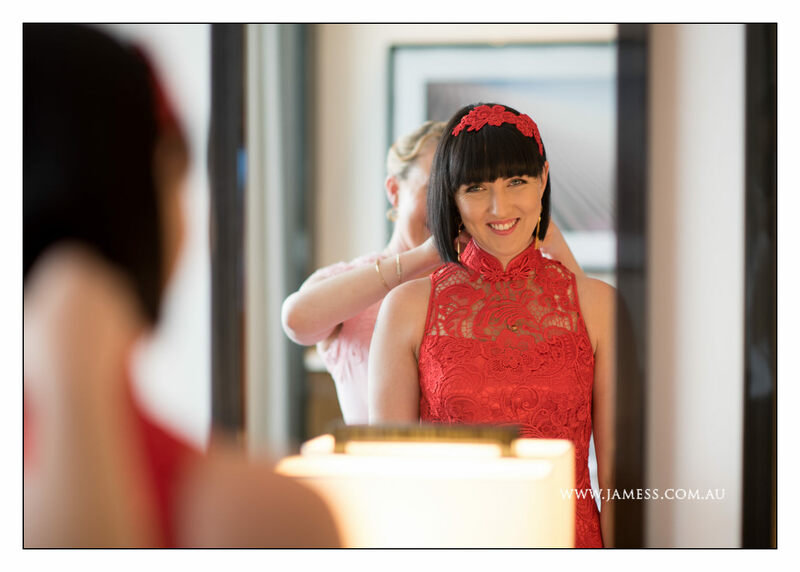 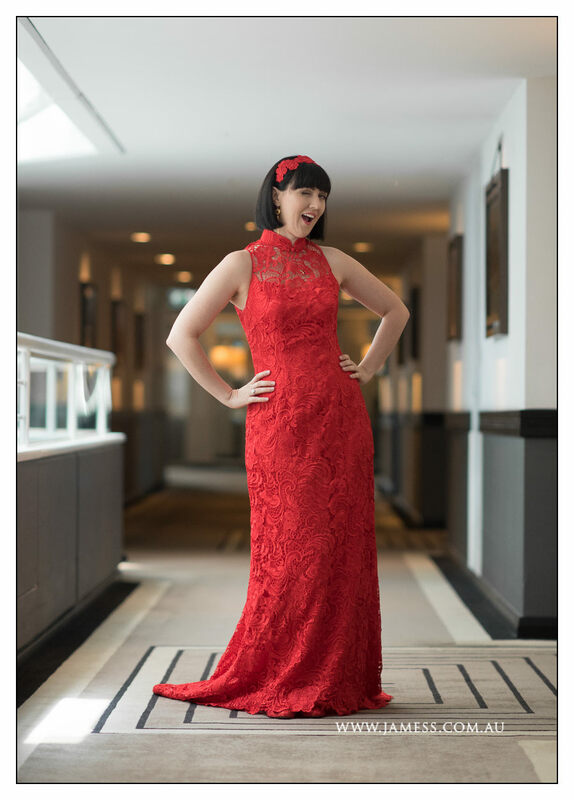 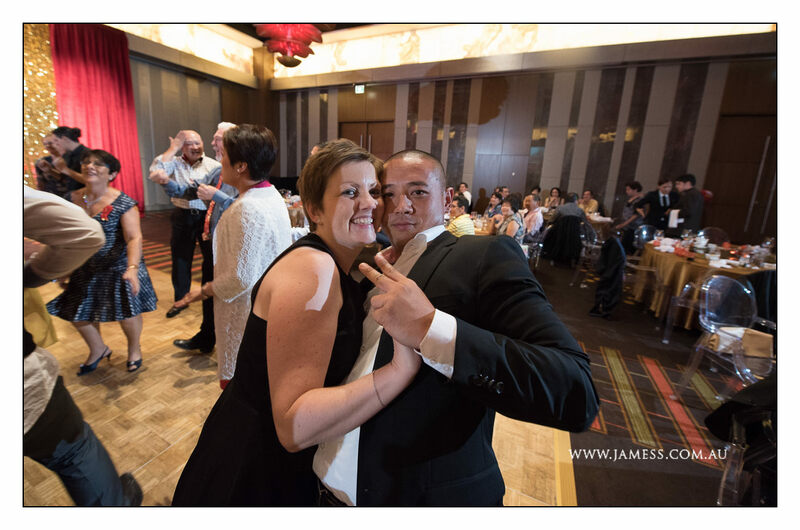 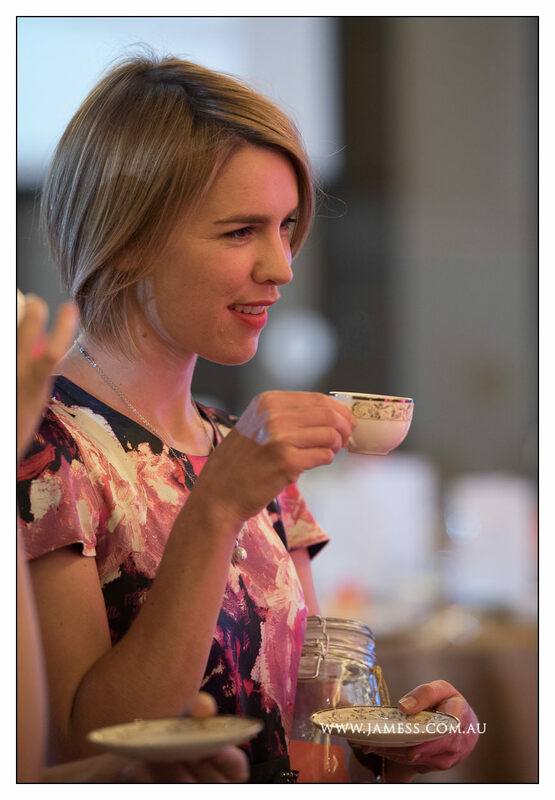 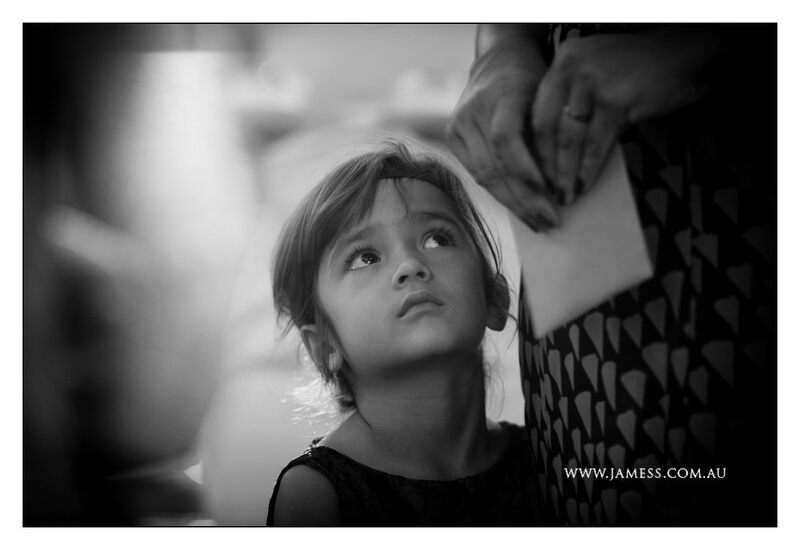 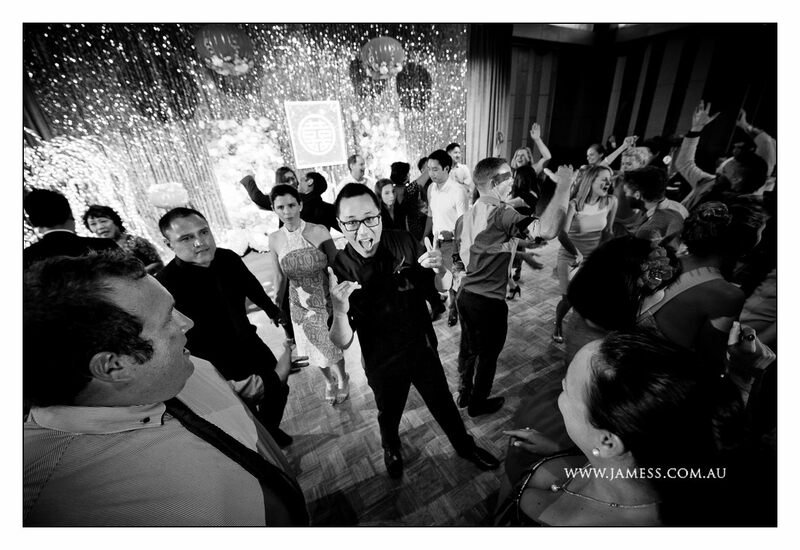 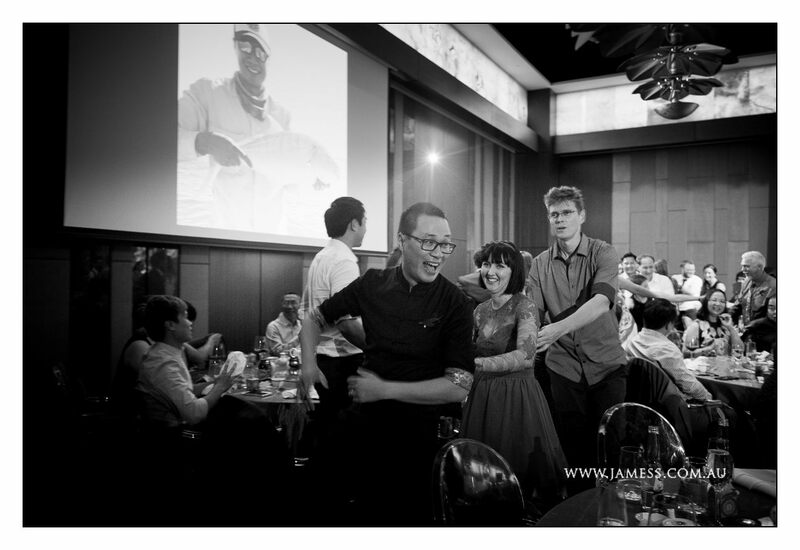 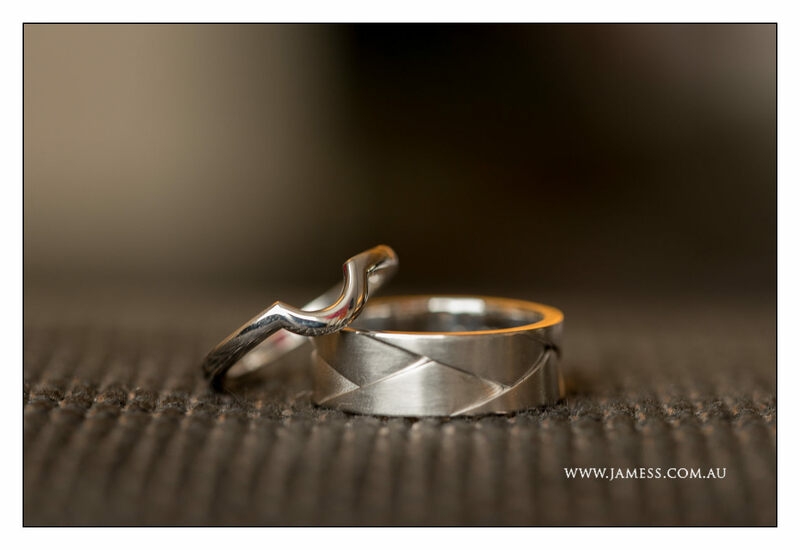 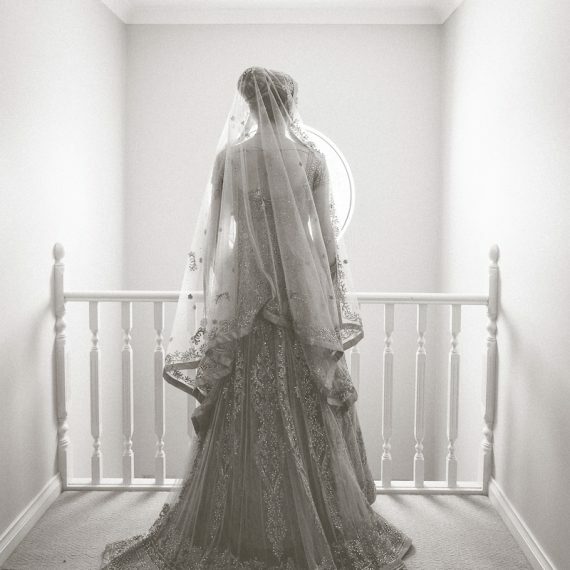 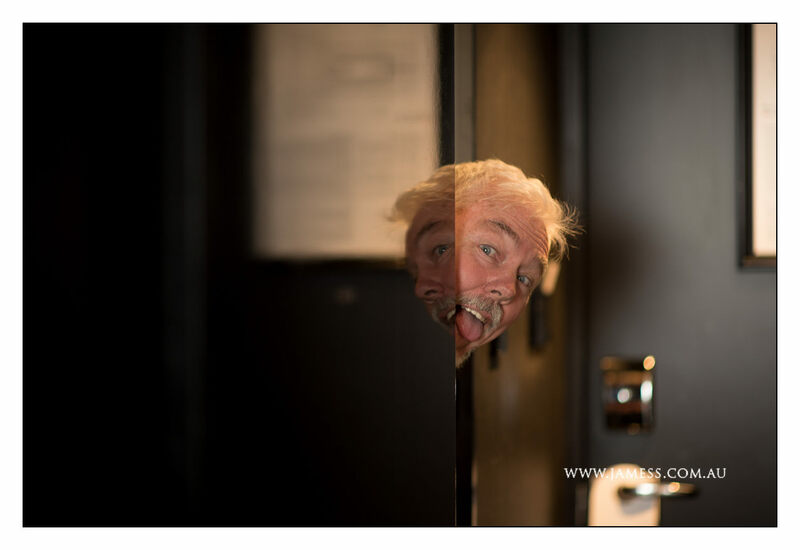 Thanks James Schokman Photography (www.jamess.com.au) for the stunning photos.